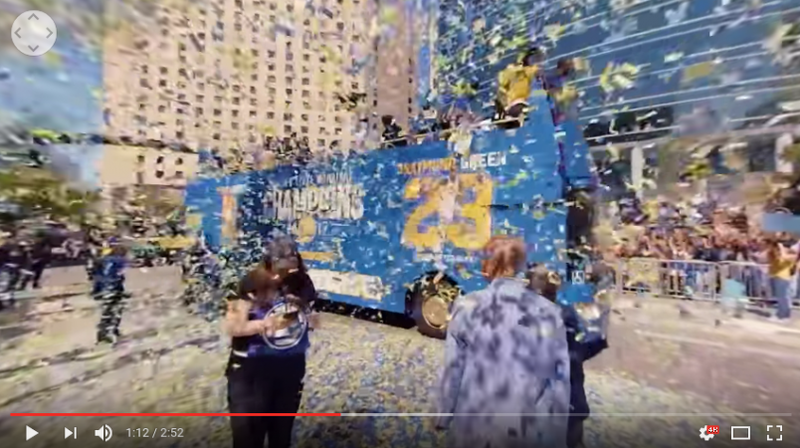 Here is a sample 4K 360 video from the GoPro Fusion, capturing the Golden State Warriors’ victory parade. GoPro Fusion is GoPro’s highly anticipated 5.2K 360 camera. 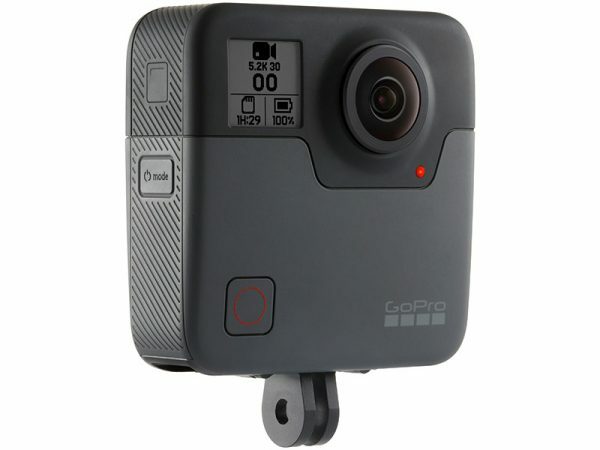 GoPro cameras are often used for 360 camera rigs because of their high image quality, and the Fusion is the first all-in-one 360 camera from GoPro. It features a high 5.2K resolution and early samples by GoPro had incredibly smooth stitching. The pilot program for the Fusion began in July when they selected a few partners, one of which was the Golden State Warriors, who had just won the 2017 NBA Championship. What do you think of the sample? Thank you very much to vlogger BasicBill and to Svend Even Hærra for bringing this video to my attention! I’m not as skilled finding stitch lines as you, but I’m having trouble finding some except at the zenith. Hi Bill. I’m still on the road so I can’t inspect the video at full resolution yet, but Svend Even Haerra also noted the very smooth stitching. I’m curious to see what it’s like! Fusion, Yi 360, Theta 4K (maybe the Orbit360) are on my short list for purchase. I returned the Gear 360 2017 after overheating issues. Content to wait now for a while to see how these contenders turn out. Yes but there are something wrong in stich in the end of the film. Check at 2:42 then it “vobbels” strange..why is it like this? I recommend downloading the video with something like 4K downloader than playing it in equirectangular format in a normal video player. Stitch lines are easier to spot when you can see everything at once. Its funny how many companies only post 360 at 1400px. I would have thought go pro would have used their own kolor software for publishing. The stitching and leveling/gyro looks excellent and sharp. Could it be stitched with avp rather than in camera? Really keen on the price! I hope it will go on sale this year without any delays. Only stitch lines I spot are blur abberations. Most noticeable was during the confetti drop. Overall very impressive. It appears to jumpy stitching issues similar to the 2017 samsung, especially at the nadir. If GoPro doesn’t fix this before release, I don’t think I can justify buying it. Yes i hope they fix that issue.